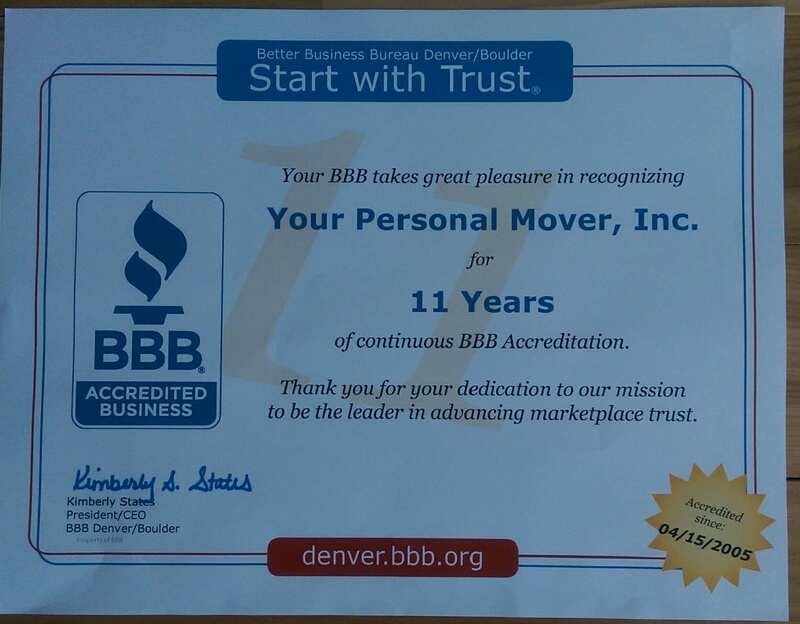 Whenever anyone asks for a recommendation for another mover if we can’t accommodate their dates or moving needs, I suggest they go to the Better Business Bureau to check reputations. I had just recommended that when I received this in the mail. I am happy to say we have an A+ rating with the BBB. We are committed to providing the best customer service possible when it comes to your move. Give us a call, we’d love to help! Previous PostPrevious Go Denver Broncos!